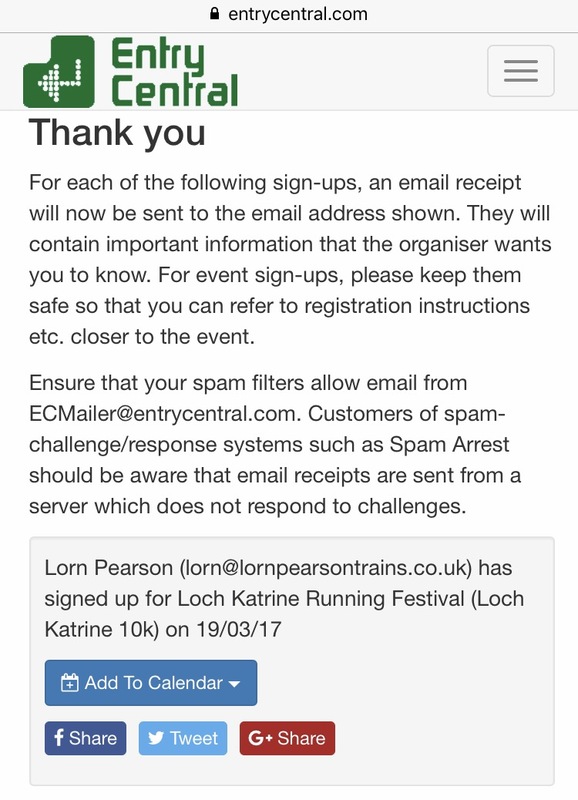 Loch Katrine 10k – entered! That’s my first event of 2017 entered – the Loch Katrine 10k. I’m taking a rest from marathons this year, and plan to do some 10k events and maybe a half marathon later in the year.